I just hit the 17 week mark in my pregnancy. In a big way I feel like this pregnancy is flying by! 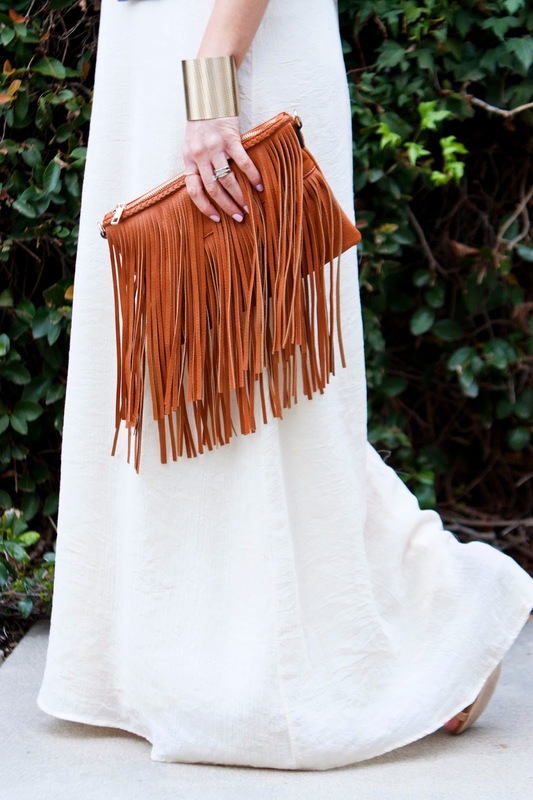 One of my absolute favorite things to wear when I am pregnant are maxi dresses. They are so chic and effortless. 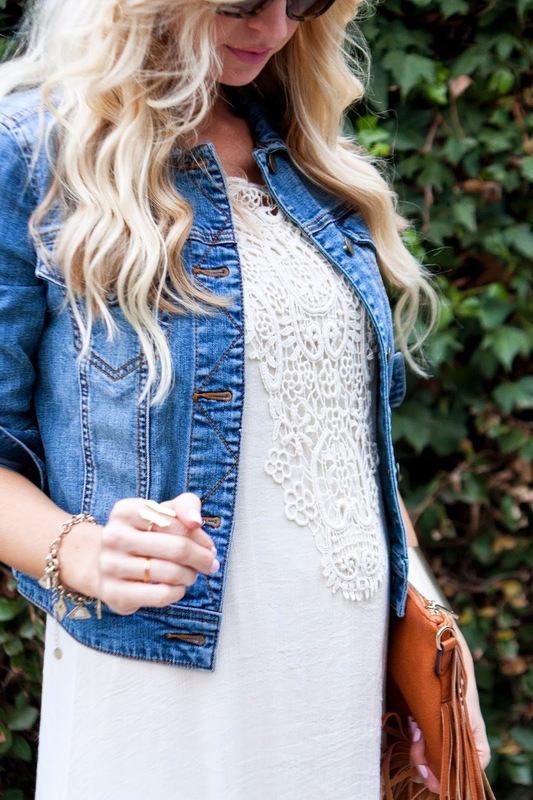 I love the crochet detailing on this dress. To me, they make getting dressed with a bump fun! I have really been into cream and ivory lately (as you can tell from my instagram here and here). It is clean and pretty and pairs beautifully with Spring pastels. I am so grateful to be feeling back to normal in this pregnancy! For the first 12 weeks I felt like my body was in total control of me. I wasn't sick at all with Bradley, but did feel nauseous with Cash. This time was even worse. I felt nauseous starting at about 4pm on. But I never threw up! I wished I could have to maybe relieve some of the sick feeling. Also, there were nights I crashed and went to bed as early as 8:30! That is almost unheard of for this night owl. My energy level is back up now, and I don't really feel sick until about midnight (which probably means I should just go to bed). I'm trying to keep as healthy as I can and have cut out sugar/desserts from my diet during the week. For some reason the thought of carbs and sugar grossed me out during this pregnancy. Something about the aftertaste of them (I also brush my teeth about 4 times a day because I can't handle any bad aftertaste). So I haven't struggled too much without the sugar. It is crazy how gross I feel after eating a donut or cookie on the weekends. We will see how long it lasts, but for now I'm sticking with it!